You’re doing your bag for your round the world and you do not know what shoes go? One thing is sure, around the world or trip generally, you might walk a lot. 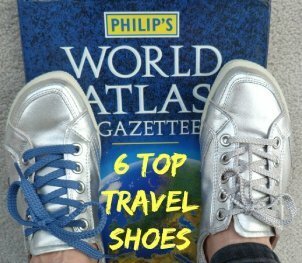 You will surely face steep land, walking tracks or paved roads: shoes for travel must be all-terrain. Not to mention the weight of the bag that you will wear on the back which requires even more excellent support. Finally, the place in your backpack is obviously reduced, you may not carry all your favorite shoes pairs. 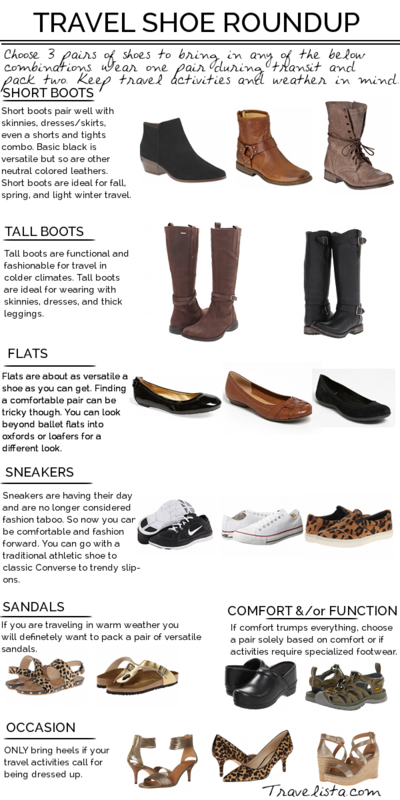 Exit the ballerinas for girls or them… moccasins for men, but was it worth to say? My best advice: do not like me! No, I’m not gone round the world with a pair of Ballet flats! But I on the other hand underestimated the importance of the choice of my walking shoes and I bit the fingers during the entire trip! 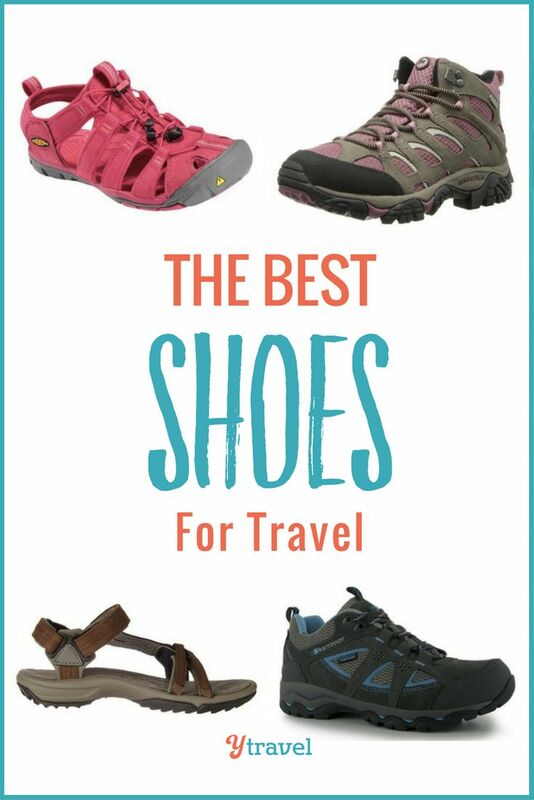 So, my advice is to understand the interest to go with shoes that are both comfortable and safe for all types of terrain. In my defense, I didn’t know what was waiting for me on the road. Precisely! I should anticipate. I didn’t know that we would leave for trekking in Indonesia, and that we should climb kilometres through a jungle of interwoven roots. I had no idea that we we would engage for a trek in the Himalayas and there again, the track would often turn into piles of slippery rocks and sharp edges. In short, I had anticipated nothing at all. And I bit the fingers. 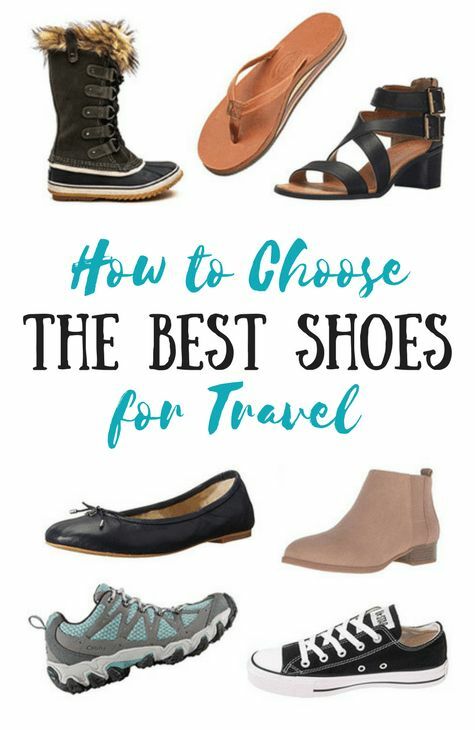 Because once there, especially in Asia, I had a lot of trouble finding other types of shoes.Besides I don’t have not found. In Indonesia, nothing. And in Nepal, Pokhara, or Kathmandu there are many dozens of trekking equipment stores, but most sell fakes! And it made all the difference. His shoes have held throughout the year and once home, and bought a new pair of the same model. Those he had brought were nevertheless always the sole undamaged, the top of the shoe is just a bit banged up. Considering what they went through, we will not blame them! He chose trail shoes. He did several stores, tried several pairs and especially discussed with different specialized sellers, like in the old camper for example. In explaining its needs and the type of use that it planned, they have all referred it to a pair of trail shoes. If I had to leave on a long trip, it’s the choice that I will also. Since my return and my big mistake, I enquired further, and especially I KNOW what might be confront during this kind of trip. You will probably go on a hikeor trek, and face different types of courses, you will need shoes with a good grip. For all these reasons, the trail shoe is an excellent compromise. 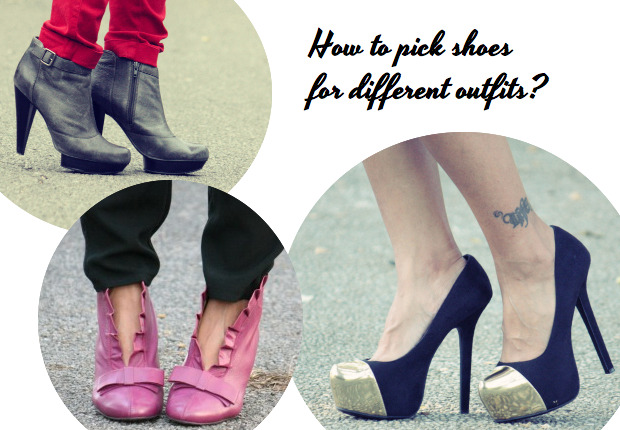 This is often light shoes, but comfort and the indisputable holding. They are indeed designed to confront all types of terrain: asphalt, track, wet ground, etc… You can walk long hours on land varied with this type of shoes! Are you pronator or supinator? Huh? Tweet? It comes to defining characteristics when it comes to choosing running shoes for the beginner. 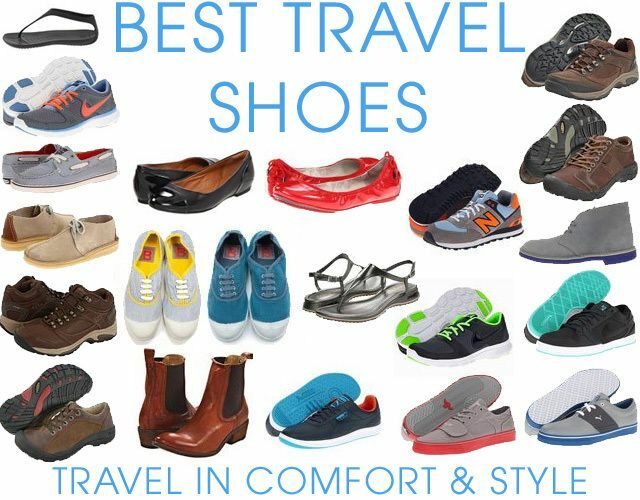 But they are also important in the choice of your shoes for travel! A pronator has slumped inwards at the foot, the supinator it outwards. You are ‘universal’ or ‘neutral’ if the alignment of your foot is perfect when walking. By examining the wear of your shoe. The pronator will be the inside of his shoe more worn, while it will be the outer part, which will be for the supinator. The universal or neutral will have worn out the central part of his shoe. 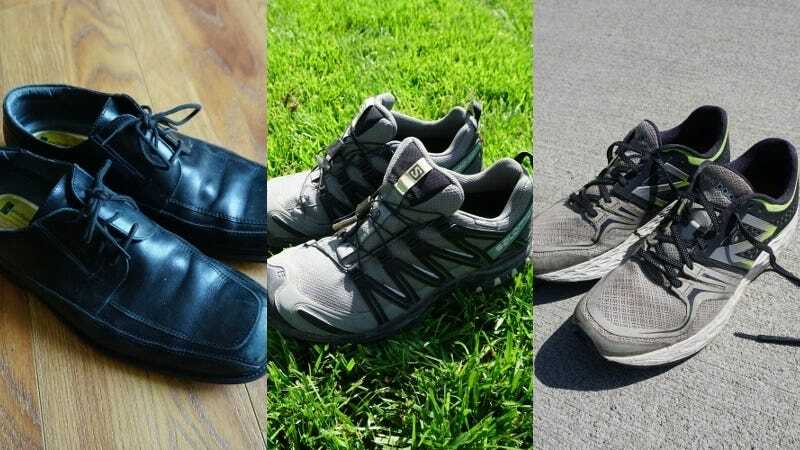 Used when it comes to buying a pair of running shoes, these features are nevertheless important and to take into account when you choose your shoes for a trip around the world. Still, you’re going to swallow kilometres and kilometres, and a shoe adapted to the shape of your foot and your behavior during the market avoid injuries, like tendonitis in the knee for example. This selection was made according to our type of trip. We spent 3/4 of our trip in rather warm conditions and sometimes very wet (6 months in Asia and South East Asia). We did not only walks, but also many market (stomped!) in town. Hiking we did were of ‘average’ difficulty, without extremes of climate. Latest news: no, the Trail shoes are not ONLY available in fluorescent colors! You will easily find in tones and more sober colors, like blue, black or gray. 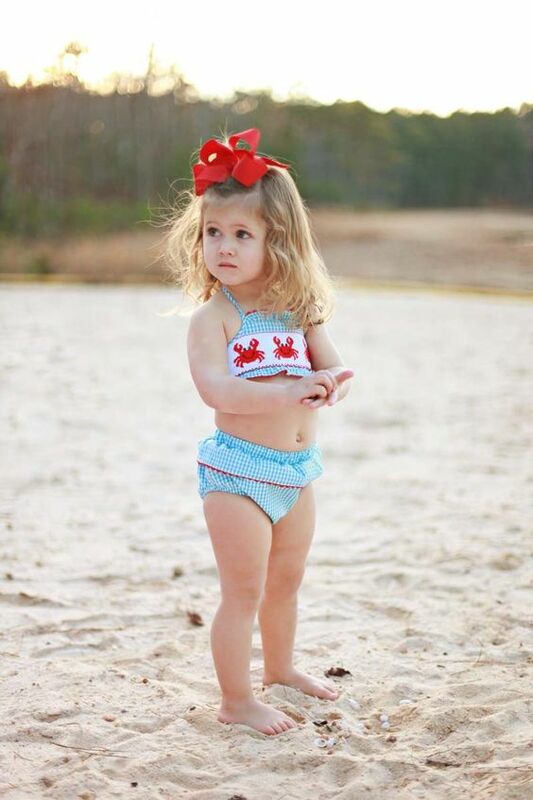 What perfect all of your outfits. And FYI, Julien had tried his shoes at Adidas and then found them cheaper on the Internet. There are sometimes special offers or sales flash, which allows to make substantial savings on this type of product that remains, it is true, rather expensive. But essential! Finally, we had also carried each a pair of flip flops (fangs) and we have purchased a pair of Van’s on the way. But it was to the side ‘pleasure ‘! My brother, who is a great backpacker, remember that he wear it with pleasure its brand Merrell hiking shoes. Actually, it’s brand recognition in this sector, and his fame is more to do. However, in “world tour” mode, I think it is better to go on a model to stem low, probably lighter and easier to carry on a daily basis. The Merrell Chameleon Wrap Slam seems perfect for men, while the Merrell Siren Sport is a good compromise for women. Nevertheless, I remain more convinced by my Trail shoes, but it’s a matter of tastes and colors!